This flavorful steak marsala and penne pasta go great together! Chef Rusty Hamlin’s Smoked Oxtail Stew has a great smoky flavor. Steak is country singer Justin Moore’s favorite meal, here’s his favorite recipe for it. Try this simple and healthy Chili Lime Skirt Steak Fajitas recipe. 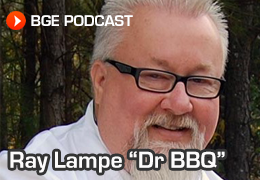 Recipe courtesy of Culinary Partner Olio’s Downtown in Richmond, VA.
Watch Ray Lampe Dr. BBQ show you how to pick the perfect steak! Breakfast Venison Sausage Casserole with O’Neill Outside on the Big Green Egg. Add this fantastic pimento cheese to your favorite grilled hamburger. Many people are rediscovering beef and there are more options on the market than ever before. Check out this Steak & Eggs Sandwich prepared on the Big Green Egg. Eddie Montgomery is an avid griller – and a Big Green Egg owner! Try one of his favorites – Jim Beam Hamburgers. These smoked short ribs are a tribute to Rathbun’s appetite for beef. Grilled Moroccan Lamb Pops with Spicy Tzatziki Sauce. These zesty lamb pops will be a big hit! Kroger’s Culinary 411 Grilled Steak with Caramelized Onions from Chef Mike Monahan. Island Burger with Fruit Salsa, Grilled Pineapple and Basmati Rice. These are easy, healthy and extra flavorful! The chipotle sauce on this steak makes this recipe delicious. Menu suggestions for a savory herb filled burger made with Laura’s Lean Beef. This is a great recipe for a classic steak.